was a LA resident at the time of death. 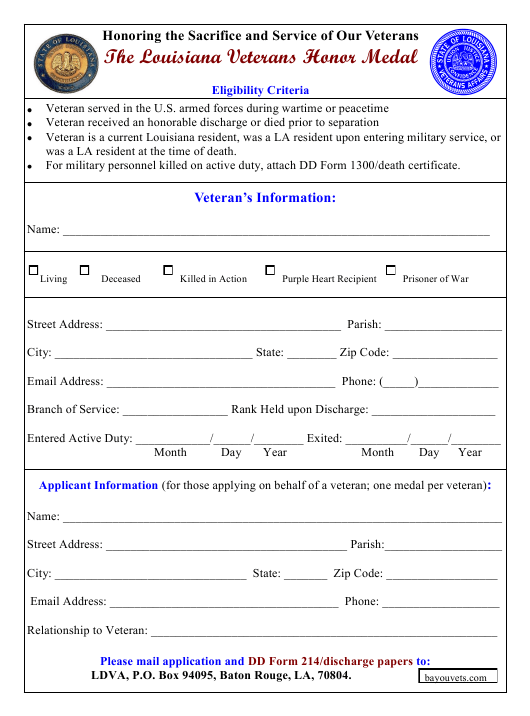 For military personnel killed on active duty, attach DD Form 1300/death certificate. LDVA, P.O. Box 94095, Baton Rouge, LA, 70804.